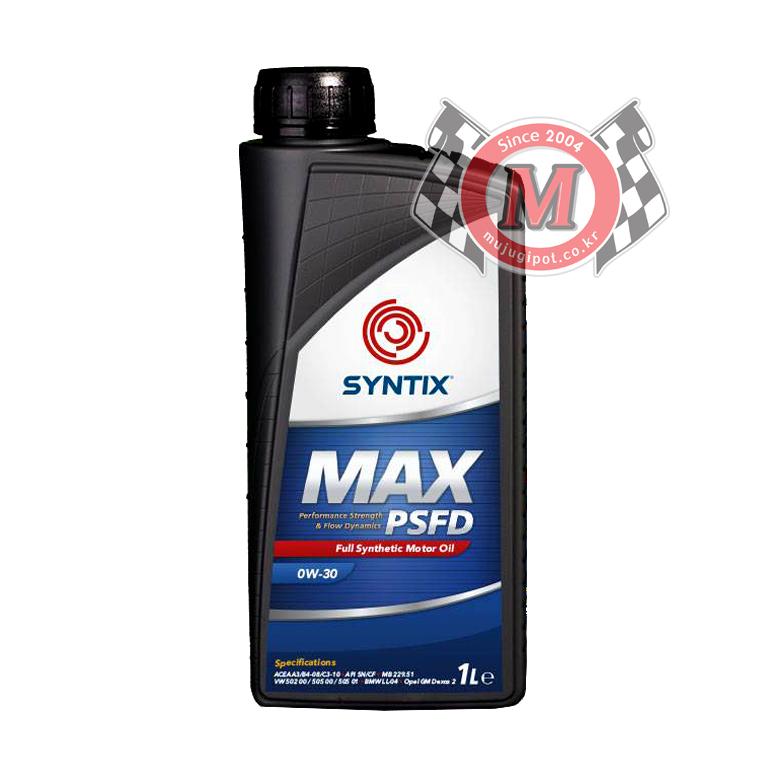 With Performance Strength and Flow Dynamics (PSFD), SYNTIX MAX is a full synthetic high performance oil. The product meets the highest standards for competition and road use in gasoline and diesel engines. The combination of a high quality PAO synthetic base oil and optimized additives results into an expanded viscosity range for additional protection, even at continuous maximum engine load and high RPM. Fast oil distribution ensures maximum protection against engine wear, even at low temperatures. The oil also contributes to improved fuel economy. 소음 면에서 분명 이득이 있을 것으로 예상이 됩니다. 분명 만족스러운 결과를 얻으실 수 있으실거라 생각이 됩니다. 작으나마 운행 하심에 도움이 되시길 바라며 좋은 결과 있기를 기대하겠습니다. 신상이라 당연한 일이지만 씬틱스 오일은 처음 사용해 봅니다.